DragonCon is almost here!! We just four short weeks away from one of the best conventions of the year! We’ll have more information coming soon about how you can see Yamasong, plus director Sam Koji Hale, and producer Mallory O’Meara in Atlanta, GA August 30 to September 3rd. 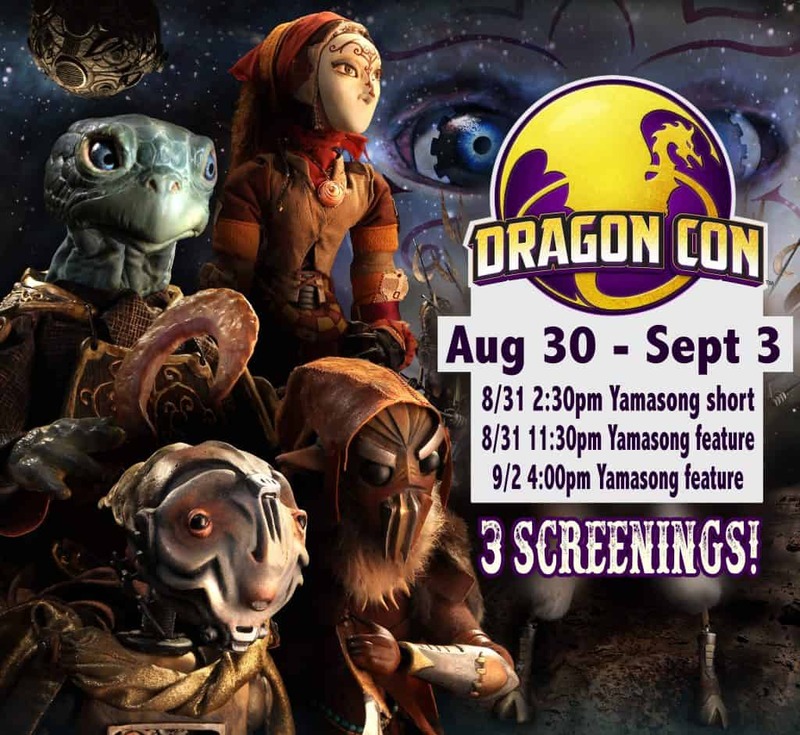 Until then here are some preliminary details about our DragonCon screenings for Yamasong! 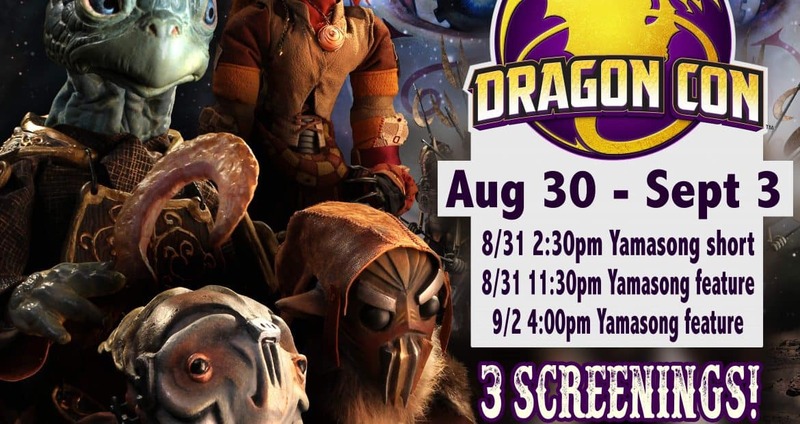 YAMASONG SCREENINGS AT 2018 DRAGON CON! Description: A mix of independent animation. You’ll see lizard adventurers, puppet politicians, and surrealist rhinos. Encore presentation of the original “Yamasong” short. Description: An automaton girl and tortoise warrior journey with a band of outlaws on an incredible quest. Their one hope to defeat a sinister mechanized army and save the creatures of their world is to find a legendary relic. Talk back with director Sam Koji Hale and producer Mallory O’Meara. Description: A fantasy-adventure puppet feature voiced by Nathan Fillion, Abigail Breslin, Edward Asner, Malcolm McDowell, Whoopi Goldberg, Peter Weller, & George Takei. Q&A with director Sam Koji Hale and producer Mallory O’Meara.